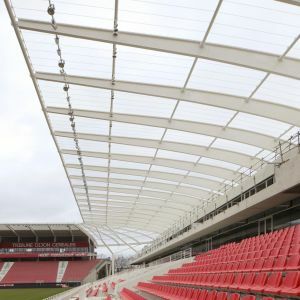 This project is for the reconstruction of the Gaston Gérard football stadium located in the city of Dijon, in the region of Burgundy, France. 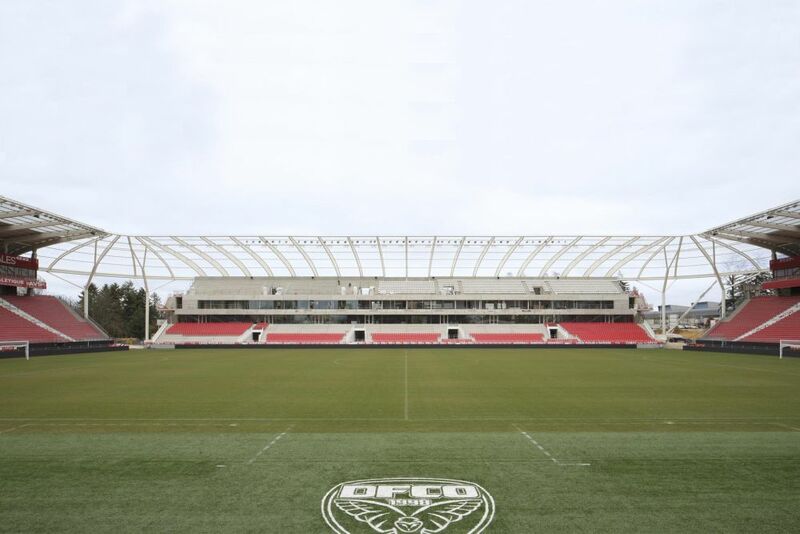 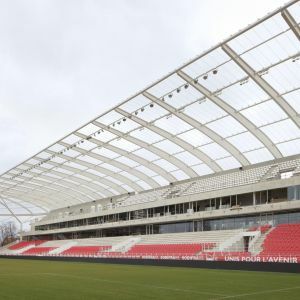 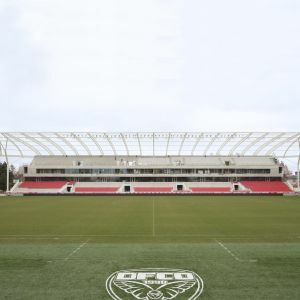 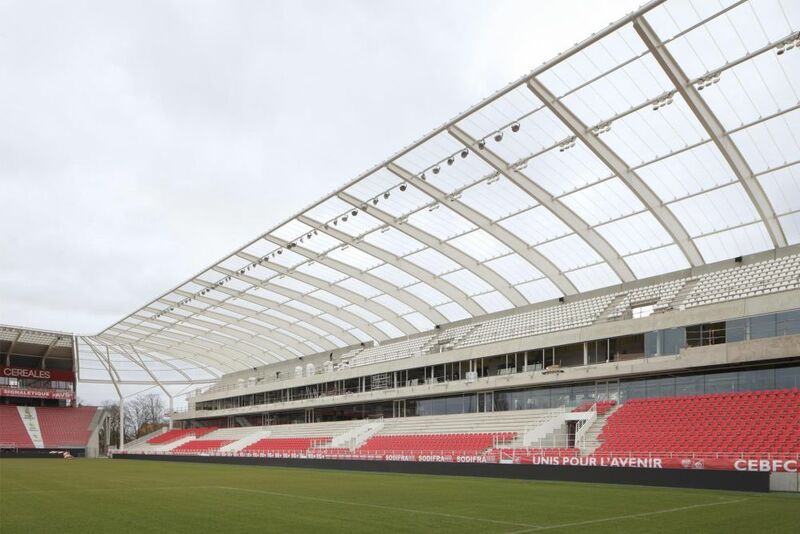 The stadium was built in 1919, it currently has a capacity of 16,000 spectators and the football club Dijon Football Côte plays there, which is a member of Ligue 1. 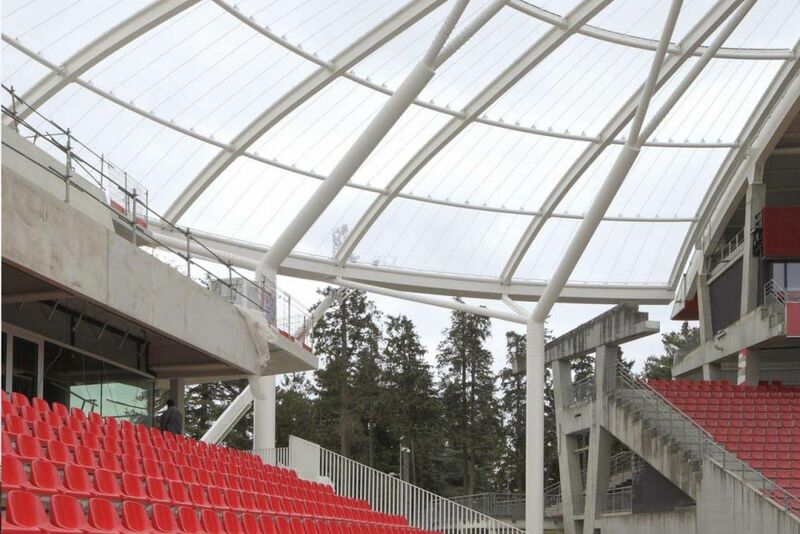 The refurbishment of the stands has centered on one of the main stands and its corners. 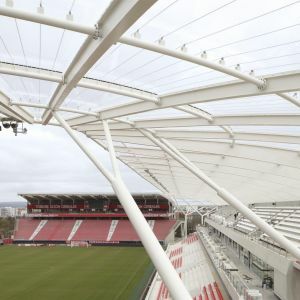 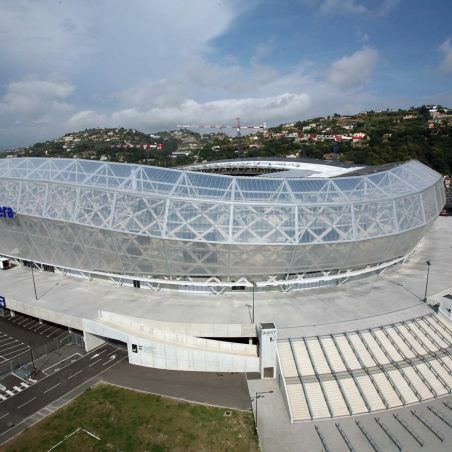 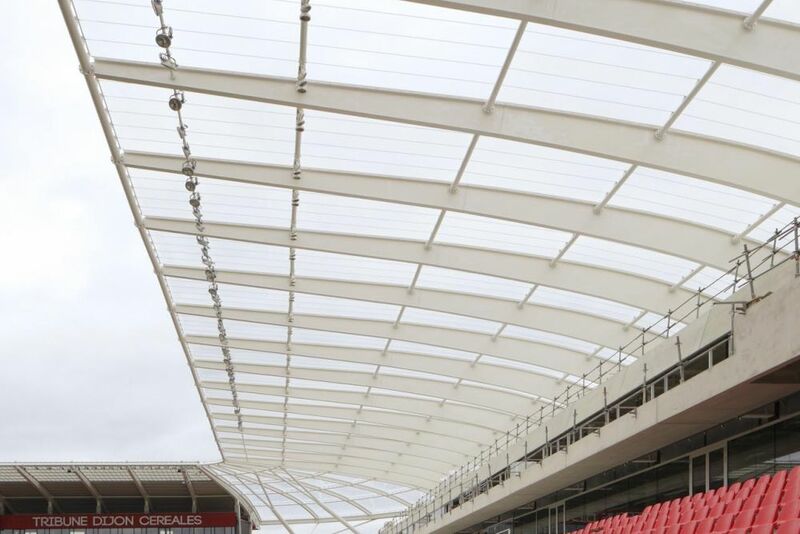 The solution adopted was a clear cover of single-layer ETFE sheeting, with the total surface area covered being 5,450 m². 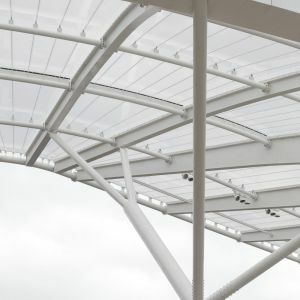 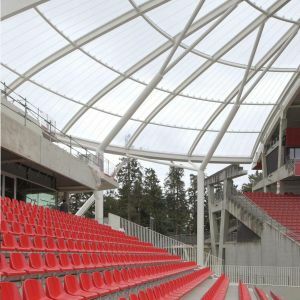 The ETFE membranes, totally transparent, have dimensions of 120x31m in the tribune area, and the curved corners break down into triangular membranes. 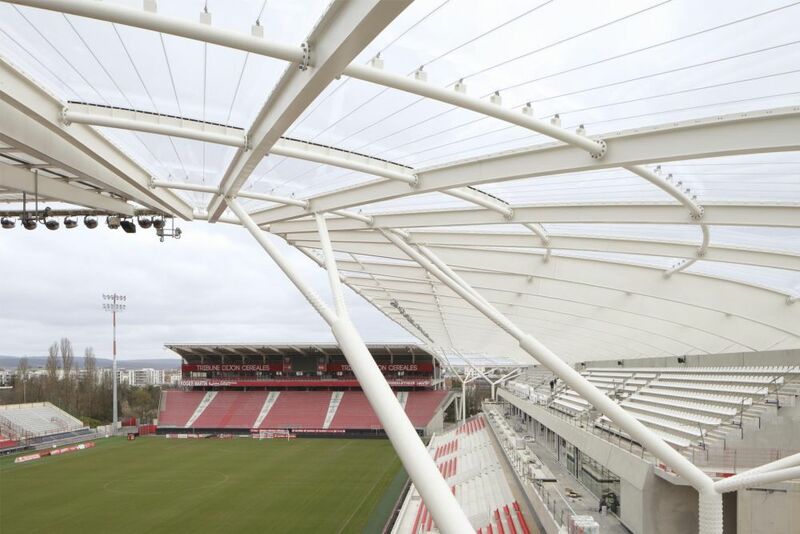 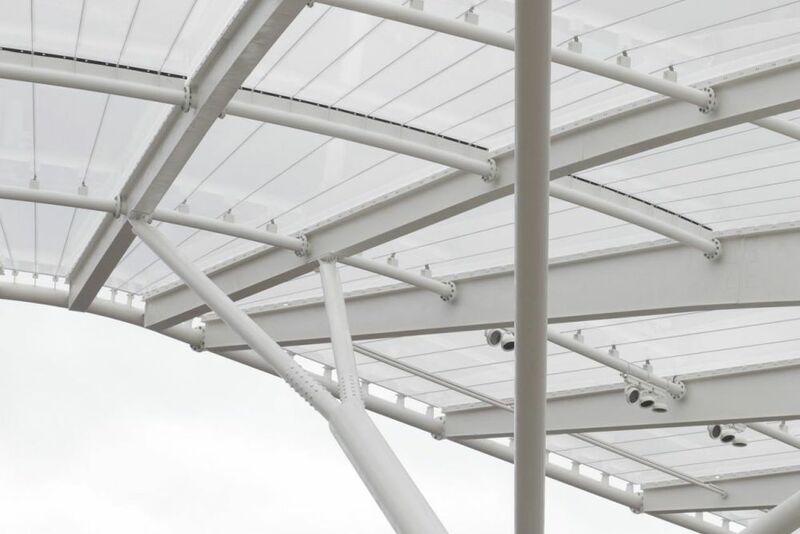 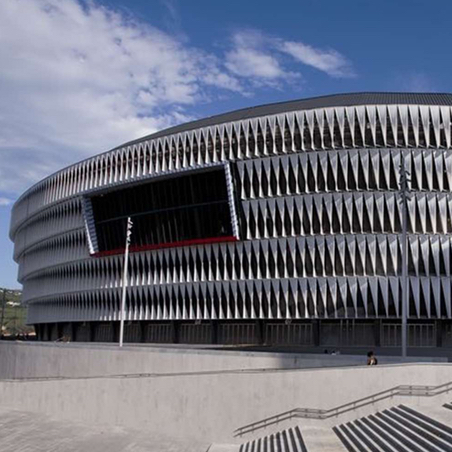 The solution of the single-layer ETFE system consists of stainless steel cables and aluminium sections.